Gift wrapping available for this product. 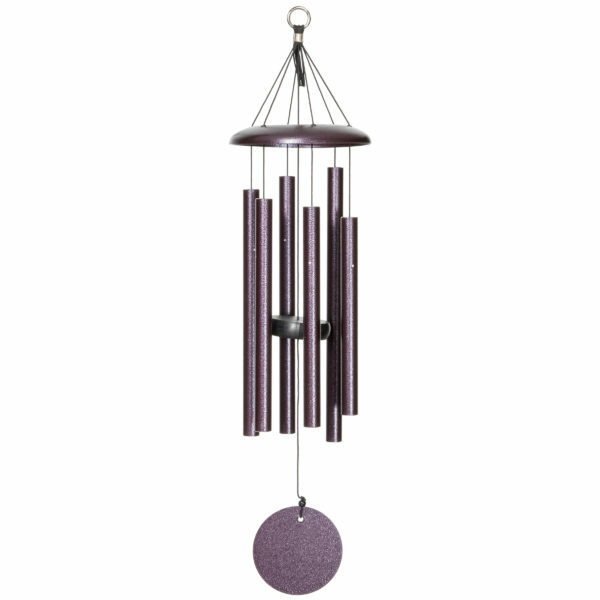 Amazing tones are packed into this smaller Wind Chime, designed to fit any budget. 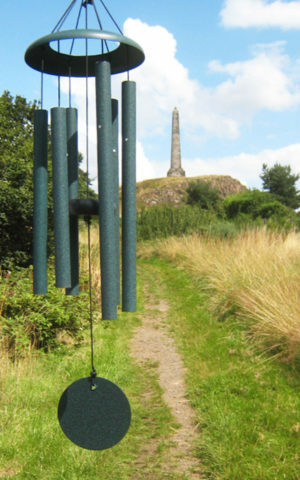 Add a beautiful sound scape to your home or garden, without overtaking your space. 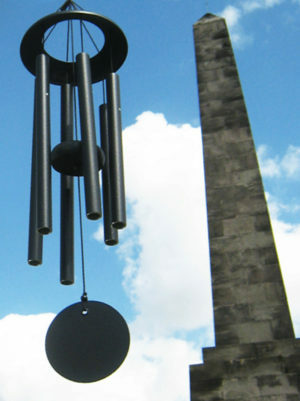 Corinthian Chimes combine exception design with incredible tones and resonance - QMT Wind Chimes put TONE before LOOKS (not that they look bad at all!). Hand-Tuned to the notes C, D, E, G, A, C.
Six Plum Vein Metal Tubes with a diameter of 19mm (3/4"). 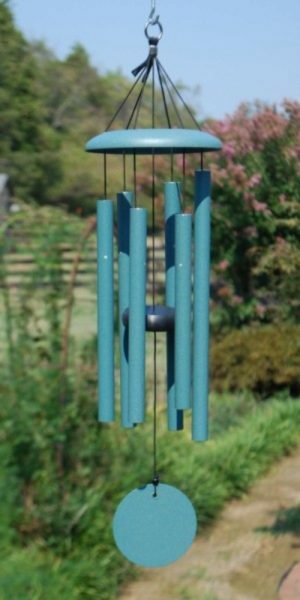 Proudly manufacturered in Virginia, USA for more than 30 years, QMT Wind Chimes put "tone" above everything else. Deep resonant tones, and last for what seems for an eternity, set QMT chimes apart from the competition. Add to that a sleek and elegant look, and you have the perfect centerpiece for your home or garden. "Many thanks for your swift delivery and such beautiful items I think you have solved my gift idea problems !!! They are wonderful and I shall be ordering more Kind Regards "
"HI ORDER ARRIVED THIS AM. BRILLIANT SERVICE. THANK YOU VERY MUCH. " 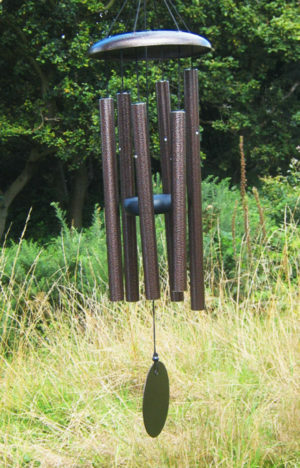 "Query: I just wanted to say how fantastic these wind chimes are. I have wanted to get one of the larger sets for a few months and have even dreamed about them in my sleep. Unfortunately having saved enough I missed out on the set I wanted to get but I did however buy anther set that I also thought was beautiful. I continue to now save up for the big set and also another set that i have viewed on your site, now having found where i can get them from. This is just to solely say absolutely brilliant! The sound and craftsmanship is outstanding. I totally appreciate what goes into making a set of these having engineering training and some musical background. Thank you again "
©2008 - 2019 Wind Chimes Corner - A trading name of Bosco Brothers Ltd.